Scilab India 2014 is a conference that provides opportunities to spread the use of Scilab in the scientific and educational community in India. The objective of this conference is to facilitate interaction with the best of the Scilab community, with a special emphasis on interaction between young and more experienced researchers. It provides an open ground to learn, understand, participate, and contribute to the Scilab community. Attendees of the conference and participants will be able to gain further knowledge of the toolboxes available in Scilab. One of the goals of the conference is to combine education, engineering, and science with computing through the medium of Scilab. We aim to make Scilab comparable to any equivalent commercial software. We invite everyone to take part in this conference. Hotel Accommodation To be arranged by the participants themselves. Submit an abstract by creating an account here. Login and upload your abstract in pdf format. The abstract should include simulation results and/or screen shots. Abstract should include Title, Names and Affiliations of authors (maximum 500 words, excluding Title and Affiliations of the authors). Submissions whose main purpose is to promote a commercial product or service will be refused. The last date for submission of abstracts is 22 November, 2014. The selected abstracts will be announced on 27 November, 2014 . All accepted papers must be presented at the conference by at least one author. The paper must include the following headings: abstract, introduction, objective, methodology, results, conclusion, references and acknowledgements (optional). Font- Size 12, Times New Roman. PDF format. The document should not be longer than 5-6 pages. All figures, screen shots, tables and other graphics should be labelled. We look forward to submissions for presentations at Scilab India Conference 2014. Submit an abstract of 200 to 300 words describing the topic, including its relevance to Scilab. Only submissions with an actual implementation or at least partial implementation will be considered for presentation. The conference organisers will select the abstract based on the quality of information provided. Abstract should include Title, Names and Affiliations of authors (maximum 300 words, excluding Title and Affiliations of the authors). The last date of submission is 22 November, 2014. The selected abstracts will be announced on 27 November, 2014. All accepted posters must be presented at the conference by at least one author. The size of the poster should be a standard A0 sheet (841 x 1189 mm / 33.1 x 46.8 in). There should be a margin of one inch on all the four sides. The board can be oriented in the “landscape” or “portrait” position. A banner displaying your poster title, name, department and institute name should be positioned at top-center of the board. The posters must include the following headings: abstract, introduction, objective, methodology, results, conclusion, references and acknowledgements (optional). 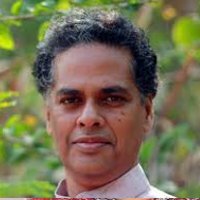 Prof. Achuthsankar S. Nair heads the Department of Computational Biology & Bioinformatics at University of Kerala. He had his BTech (Electrical Engineering) from College of Engineering, Thiruvananthapuram , MTech (Electrical Engineering) from IIT Bombay, M.Phil (Computer Speech and Language Processing) from the Dept of Engineering, University of Cambridge, UK and PhD from University of Kerala. He is currently awaiting the award of his second PhD in Music from University of Kerala. Since 1987, he has taught in various Engineering Colleges, Universities and Institutes both within India and abroad. During 2001 – 2004 he served as Director of Centre for Development of Imaging Technology (C-DIT), Govt. of Kerala. In 2006 he was a Visiting Professor in University of Korea, Seoul. He has a dozen of popular-science books on IT in Malayalam, including one on on Free software in 2002. He has co-authored a book Scilab (S.Chand, New Delhi). His current research interests include use of digital signal processing (DSP) in bio-sequence analysis. 20 Candidates have taken PhD under his supervision. He has a modest number of research publications in International & Indian Journals. Carnatic classical music tops his hobby list, followed by local history of Thiruvananthapuram in early 19th century. He has widely traveled and given talks in hundreds of venues including Universities, a very large number of colleges in Keralam, University of Madras, Indore University, Bharathi Dasan University, Jawaharlal Nehru University, National University of Juridical Sciences, Calcutta and the Madras Music Academy. Dr. Achuthsankar S. Nair was honored with the INSA Teacher Award 2012 instituted by the Indian National Science Academy, New Delhi for his excellence in teaching service. 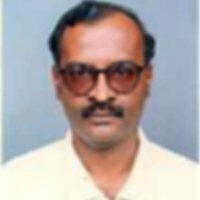 Prof. Satish Annigeri is a professor of Structural Engineering, B.V.B. College of Engineering & Technology, Hubli where he teaches postgraduate students. He also guides research in the area of earthquake engineering. His area of interest include programming languages and FOSS along with various other research topics. 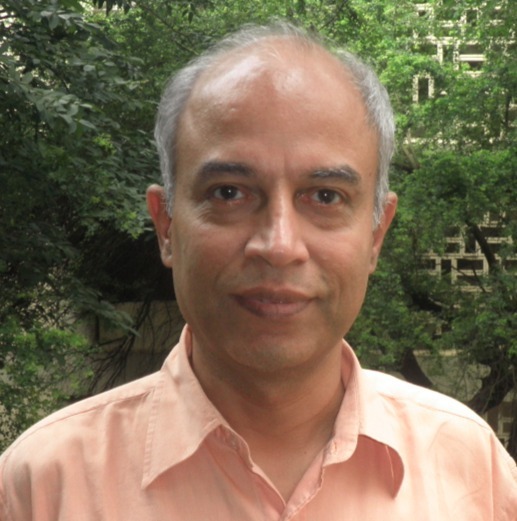 Prof. Madhu N. Belur is the associate Professor in Electrical Engg Dept at IIT Bombay. He completed his B.Tech in Mechanical Engg from IIT Bombay and then Ph,D in control theory from University of Groningen, Netherlands. His research interest are in Control theory, Dissipative systems, Graph theoretic methods, Decentralized control, Behavioral theory control and Fault diagnosis. 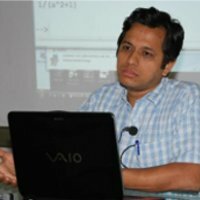 He is the active faculty involved in FOSS activity at IIT Bombay. 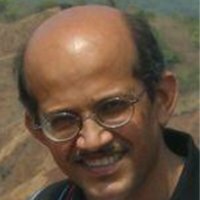 Kannan M. Moudgalya is a professor of Chemical Engineering, Systems and Control, and Educational Technology at IIT Bombay. He has been with IIT Bombay for 25 years. He is a Member of the Standing Committee of the National Mission on Education through ICT, MHRD, Government of India. He is a life member of ISTE and CSI, and a member of IEEE. Prof. Kannan is now devoting his time to spreading education on a massive scale, without quality dilution. He has been focusing on spoken tutorials, open source software systems, virtual labs and the recent low cost prototype of the 10.1- inch netbook. Prof. Kannan studied chemical engineering at IIT Madras and Rice university, receiving B.Tech and Ph.D degrees, respectively. He also received a Master of Electrical Engineering degree from Rice University, studying Control and Computer Engineering. Prof. Kannan has written two textbooks: (1) Digital Control, published by John Wiley & Sons, Chichester and (2) Optimization: theory and practice, jointly with Prof. M. C. Joshi, published by Narosa, New Delhi. 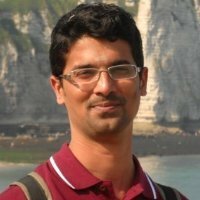 He has also written “Oscad: An open source EDA tool for circuit design”, simulation, analysis and PCB design, Shroff Publishers, Mumbai. He has published a large number of papers in refereed international journals and conferences in the areas of mathematical modelling, control and simulation. 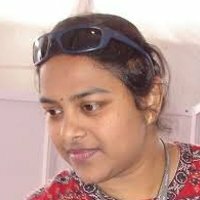 Prof. Manjusha Joshi is a freelance consultant with expertise in FOSS for scientific computing including Scilab, R and Latex. She teaches postgraduate students in Maths at Abeda Inamdar College, Pune. She is also engaged as a visiting faculty at Symbiosis Institute of Computer Studies and Research and Center for Modelling and Simulation (CMS), University of Pune. She has worked at BIM, Pune where she explored maths software like Kash/ Kant and GAP. She was also the Principal Investigator for the project ‘FOSSME’, funded by MHRD as part of NMEICT. She completed her MSc and MPhil in mathematics from the Dept. of Mathematics, University of Pune. She is a member of Pune Linux User Group (PLUG). P.R. Naren, is a Senior Assistant Professor, Chemical Engineering at the School of Chemical and Biotechnology, SASTRA University, Thanjavur, Tamilnadu. Earlier, he completed Ph. D (Tech) from Institute of Chemical Technology (formerly UDCT) Mumbai in collaboration with National Chemical Laboratory, Pune under the CSIR-GATE-JRF-SRF fellowship scheme, in Nov. 2009, working on computational flow modeling of gas-solid riser flows. He also had 18 months of post doc experience at Ecole Centrale de Lille, Lille, France. His areas of interest and specialization include computational flow modeling, fluidization engineering, gas-solid riser flows, and development of phenomenological reactor engineering models for fixed bed catalytic reactors. Presently he is also engaged with development of pedagogical content for Fluidization engineering, coordinated by IITKGP under the NMEICT-MHRD Scheme. At SASTRA University, he developed an elective course on computer applications in chemical engineering integrating use of Scilab and problem solving in chemical engineering. Dr. Claude Gomez is the CEO of Scilab Enterprises. He was a senior scientist at INRIA , France before heading the Scilab Research and Development team at INRIA from 2003- 2008. He was also engaged as the Director of Scilab Consortium from 2008 - 2011 before joining Scilab Enterprises. He has been involved in the development of Scilab since 1990. At INRIA, he worked in the areas of Computer Algebra, Control and Numerical Computations. He developed the Macrofort Maple package that generates complete FORTRAN programs from Maple. He is the co-author of the Metanet toolbox for graphs and networks optimization and the Pandore expert system for solving stochastic control problems. He also developed a Maple package for generating Scilab code from Maple. He graduated in 1977 from the École Centrale de Paris in engineering. He received a PhD degree in numerical analysis in 1980 from Orsay University, Paris. 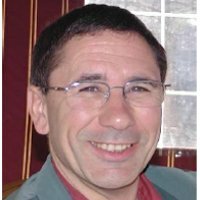 He has co-authored two books in French- Computer Algebra (Masson, 1995) and Scilab (Springer, 2002), and one in English- Scilab (Birkhäuser, 1999). Prof. A B Raju is the HOD of Dept. Electrical and Electronics Engineering at BVB College of Engineering and Technology, Hubli. He completed his Phd in Wind Energy Systems from IIT Bombay. He has 19 years of teaching experience. Registration for the workshop is mandatory. Please note that you can register for only one workshop as the workshop sessions will run in parallel. The link to the workshop registration will be emailed to you after completion of the conference registration. This is a SELF workshop that introduces Scilab through self learning. Participants learn to use Scilab through Spoken Tutorials. Spoken Tutorial is a video tutorial that typically runs for a duration of approximately ten minutes. No prior experience with Scilab is required. This is a hands-on session. Participants have to bring their own laptop with the required software installed on it and earphones. Proficiency level Anyone who has knowledge of Basic Control Systems. This workshop will introduce you to Single Board Heater System (SBHS). It is a portable lab-in-a-box setup which mimics a temperature process. It has a heating system, cooling system and temperature sensing mechanism. It can be easily connected to a computer. Scilab will be used to demonstrate various experiments on it starting from system identification to closed loop controllers. Accessing SBHS from a remote location as a Virtual laboratory will also be demonstrated. This will comprise a major part of the workshop and can be treated as a hands-on session. This workshop will introduce participants to the various image processing toolboxes available in Scilab. The workshop will be a hands-on session. Participants will learn how to solve common image processing experiments. The participants should be comfortable using Scilab. They should be familiar with Scilab functions and scripts. This workshop will introduce participants how to interface Scilab with Arduino Uno board.In this session users will be able to perform some experiments on Arduino board by Scilab code and also by drawing some models in Xcos. The workshop will be a hands-on session. Participants will perform some embedded experiments. The participants should be comfortable using Scilab. They should be familiar with Scilab functions and scripts. Some proficiency in electronics circuits will be helpful. OS: Windows 7(Toolbox is available only on Windows. Please install drivers for Arduino board before the workshop. Toolboxes: Will be provided during the workshop. Arduino board and other components: Will be provided during the workshop. LCH 11, IIT Bombay, Powai, India. Powai is an eastern suburb in North-Eastern part of Mumbai. Scilab India 2014 conference is organized by Scilab Team, FOSSEE. FOSSEE project is part of the National Mission on Education through ICT with the thrust area being "Adaptation and deployment of open source simulation packages equivalent to proprietary software", funded by MHRD, based at the Indian Institute of Technology, Bombay. The FOSSEE project undertaken by IIT Bombay is funded by Ministry of Human Resource Development , Govt. of India, under National Mission on Education through ICT. The aim of Human Resource Development is education and skill development, which plays a significant role in our country. Please click on the link to provide us your valuable feedback and download your e–certificate(s) for participation / talks / workshops. Use your registered email id for downloading your certificates.